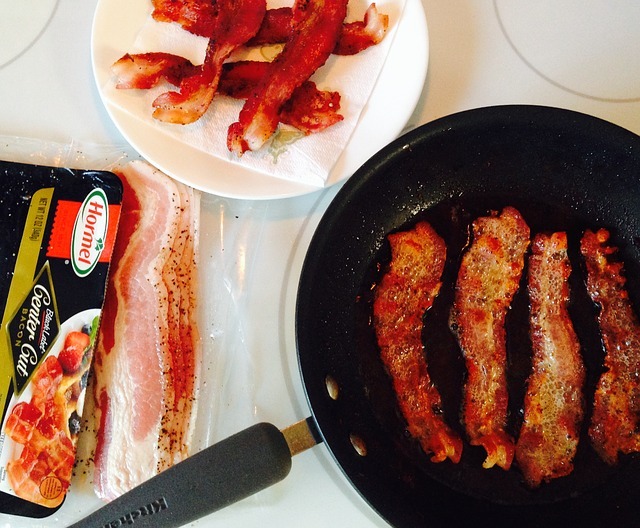 Can I eat bacon during pregnancy? There are totally a million ways of eating bacon: in your breakfast, dried as jerky, in your sandwich, and, if you are feeling particularly adventurous, in your ice cream as well. Bacon is one of the most delicious meats there is, and good enough to be eaten as a part of almost anything. On the other hand, bacon is not always the healthiest of foods, which might explain why it might not be too good for you while you are pregnant. However, when you are expecting, you will have a great many food cravings, and it is not uncommon to crave for something as delicious as bacon. And there is no reason why you should not have some. In this article, let us see whether it is actually safe to eat bacon when you are pregnant, how to eat it, and when. There is actually no harm in eating bacon in moderate amounts if it has been properly cooked and piping hot when you consume it. But do keep in mind that it is not a good idea to eat it in immoderate amounts at any point in your life, and especially so when you are expecting. Bacon contains many harmful elements that are detrimental to your health in general, and can adversely affect the baby when you are pregnant. Under cooked or raw bacon plays host to thriving colonies of a certain kind of bacteria called listeria. As such, eating raw or under cooked bacon can lead to a rare disease called listeriosis, which affects pregnant women and causes preterm births, stillbirths, and even miscarriages. The bacteria can also reach the unborn baby through the umbilical cord, and cause birth defects and hinder healthy development of the fetus. Therefore, it is imperative that if you must have bacon, you make sure that it has been well cooked and eaten while still piping hot. Cooking might seem like a chore during pregnancy, especially in the later stages. But it is the best and safest thing that you can do to ensure that what you eat is certainly of the best quality you can possibly get. Buy the bacon yourself from trusted sellers and make sure it is the freshest you can get; the longer the meat has been sitting on the shelf, the greater is the colony of pathogens living inside it. The best thing to do would be to ensure that you get the bacon from a seller you know brings in fresh meat. Avoid getting cooked bacon from restaurants as you have no idea of the conditions in which it was cooked, or whether you are getting reheated food. Buy fresh raw bacon and cook it crispy yourself. Make in small batches so you don’t have to refrigerate leftover food. Of the many benefits of eating bacon, this one will certainly appeal to the pregnant woman. During pregnancy, you will likely feel hungry all the time, or at least wake up in the middle of the night craving something specific. Bacon is an amazingly filling food, which means that a single serving of bacon will go a long way in keeping you full for a long time. Besides, it is delicious, which means you will also be able to satisfy your cravings of filling upon something good. Bacon in moderate amounts is pretty good for the mother and the baby. It contains adequate amounts of selenium and potassium. Selenium helps in developing the baby’s muscular system. And potassium helps in maintaining the water-salt balance in the body, plus maintaining blood pressure levels. So how do you eat it? As mentioned before, well cooked bacon is pretty safe for consumption. But bacon contains high levels of salt, trans-fats, and a lot of calories, so it is best to eat it in small amounts and in conjunction with healthy vegetables and grains. Eat it in a sandwich loaded with vegetables and no high calorie cheese. A dish of well cooked eggs with some bacon strips on the side would make for a god breakfast as well. Also read: Can I eat prawns during pregnancy? Bacon is way too delicious to be chucked out of your diet altogether for a whole nine months. And there is no reason why you should be required to do that; after all, it is not poisonous, and few things can satisfy your cravings as well as bacon. So, as long as you stay within the recommended limits, nothing is going to stop you from having a little bit of bacon every now and then, especially if the doctor gives you the green signal. 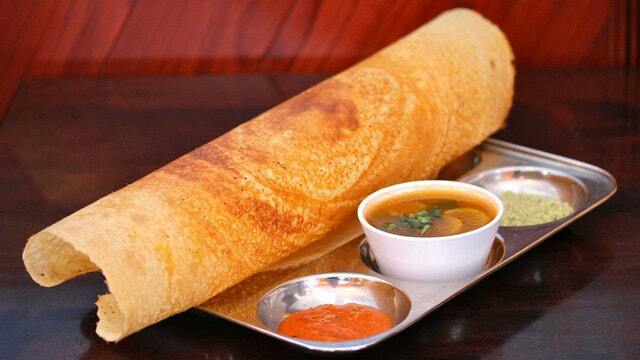 Can I eat dosa while pregnant? 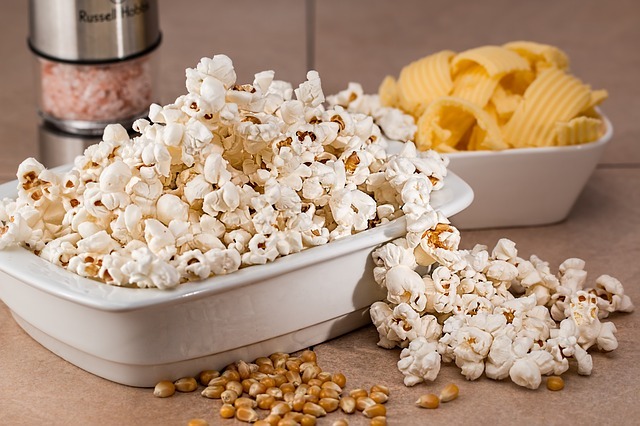 Can I eat popcorn during pregnancy?